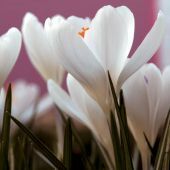 Crocus join snowdrops, winter aconites and glory-of-the-snow as the very first sign of Spring. 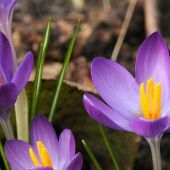 Crocuses are often seen in the lawn, where a natural-looking effect can be done by scattering them about then planting them where they fall. The more bulbs you use, the more impressive the effect. If you prefer to create you own mix of colors a succesful recipe is: 50% blue and purple, 25% yellow, 15% white and 10% striped. 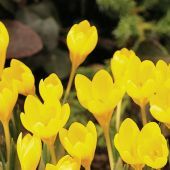 Waiting six weeks after their flowering period before cutting the lawn assures profuse flowering the following year. 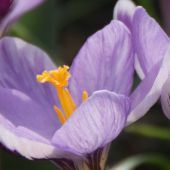 Crocus bulbs require well-drained soil and know that those left in the ground will always bloom a bit earlier than ones planted the previous Fall. 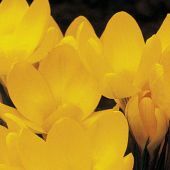 The light foliage and early flowering of crocuses make them also very suitable for layering atop other bulbs such as hyacinths, tulips and narcissi (daffodils). 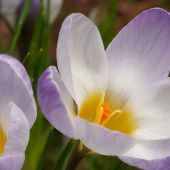 Layering is simple: first plant the larger bulbs and cover with soil to their noses. 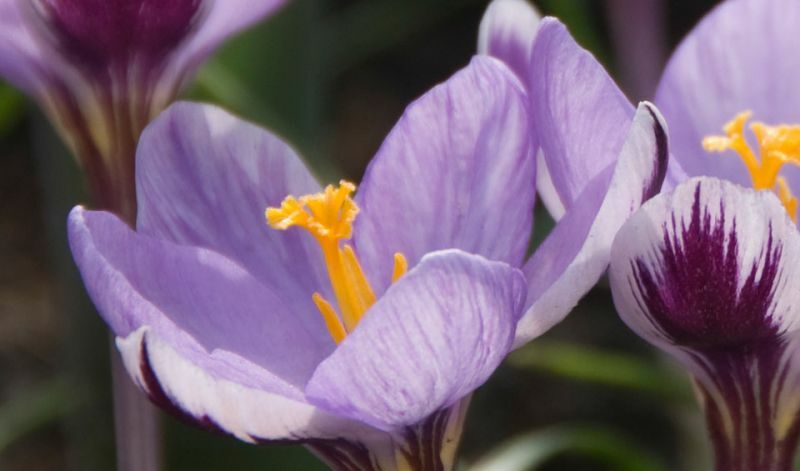 Then plant the crocuses on top (use lots) and cover with soil. This technique works just as well for containers.